I’ve been using GoDaddy VPS servers for a few years now and they’ve been OK up until Godaddy Server number 5. I currently (December 2016) have two Godaddy VPS servers online, a 2GB Centos 6 VPS and a 3GB Centos 6 VPS. I’m in the process of reducing the size of my network of domains (currently over 100 domains), pretty much plan to let anything not making much money to expire and concentrate on a core set of profitable domains (probably around 50 domains: too much hassle managing 100+). I should only need one VPS server for around 50 domains, though want to upgrade the RAM to 4GB. 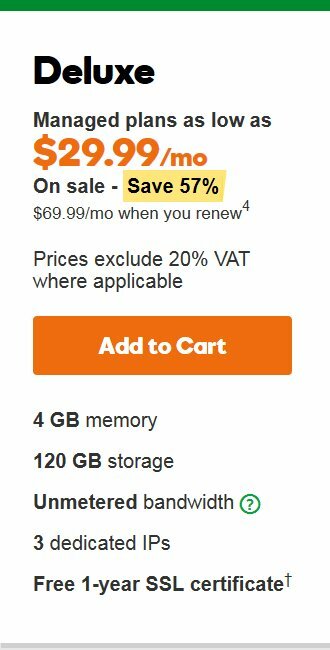 It’s cheaper to buy a new Godaddy Deluxe 4 GB VPS server than pay for upgrades to an old server, also a new server will probably have newer components and the option for more recent versions of Linux (I wanted Centos 7, PHP 7 etc…). 3 dedicated IPs (though only 1 IP if you select unmanaged!). It’s cheaper than the 3GB Godaddy VPS I currently pay for. Hmm, just realized they overcharged me! 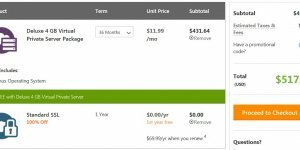 If I paid 3 year in advance could have got it for under $15 a month including tax! That is really cheap, now tempted to try again!!! Update: did try again, under $15 a month is a bargain. Anyway, got access to the server quite quickly (no issues with that) and the server had an awesome Destroy and Rebuild feature. Which meant in a space of 10 mins if you messed up you could start again from scratch and even choose a different version of Linus: Centos 6, Centos 7, Fedora 23 (I think) and a version of Ubuntu. I’m familiar with Centos, so tried Centos 7 and 6 only. I use the control panel Virtualmin, so after a quick “Yum Update” command to update the server to the latest version of Centos 7 I installed Virtualmin: done this at least half a dozen times before with other servers, it’s easy. Unfortunately that’s when the problems began. Important information: the server starts with all ports closed other than ports 22 (SHH access) and port 80 (HTTP access). To access other services you need to manually open ports using iptables and/or firewalld. I couldn’t log in to Virtualmin because port 10000 was closed (Virtualmin opens this port via iptables/firewalld at installation). Weirdly port 20000 (Usermin: part of Virtualmin) and some other ports (MYSQL and others) were open, though others you’d expect to open during a Virtualmin install (POP3 and FTP for example) are closed. Didn’t figure out how Virtualmin opened those ports with iptables not active and firewalld disabled. After a LOT of research and Destroying and Rebuilding the server over half a dozen times tracked the issue down to the server being run under an OpenVZ container and this can cause problems with iptables/firewalld. The Godaddy Deluxe 4 GB VPS server started with iptables NOT setup correctly, it was enabled at boot (so it tried to run), but failed to activate due to an error on line 14 of the default iptables file (line 14 was the commit line). I could get iptables to activate by saving iptables with no default rules, but no matter what I tried I couldn’t open a single port via iptables (or firwalld, tried them both). I’m far from a server expert, I can manage the day to day running of a server with no major problems (being managing dedicated servers and VPS servers for over a decade), I can fix server problems as long as I can find the solution online. I hate using the command line, so most of my server activity has been under a control panel (Virtualmin), with this issue it was ALL command line as I couldn’t get Virtualmin to run, so made progress slower. Wasted days trying to get iptables and/or firewalld to work with no joy. Three Godaddy support requests, first I got someone who knew nothing about servers, second knew about servers and offered to charge $80 to setup iptables or a link to an article on using iptables. 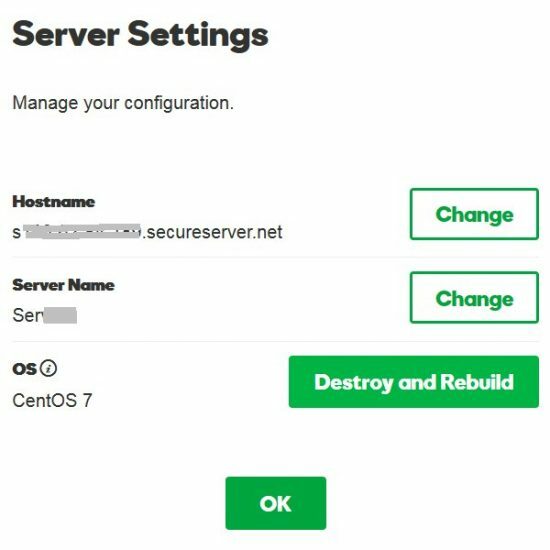 Third I Destroyed and Rebuilt the server (so was a fresh server, I changed nothing so Godaddy support could check the server at the initial setup stage). I was on support for over an hour, he said his admin was looking at the server, but based on the responses I don’t think they did anything: end result was I cancelled the server and asked for a full refund: still waiting on the refund, apparently takes 3-7 days to make a refund at Godaddy. Clearly the default server setup was faulty. Iptables and/or firewalld should be enabled AND active at first boot (iptables was enabled, but not active) since they are required to manage ports. Either Godaddy support couldn’t or wouldn’t activate iptables. Godaddy support is next to useless in my experience. Update: Due to the very low cost when paying 3 years in advance (less than $15 a month) I’m trying again. The new Godaddy Deluxe 4 GB Virtual Private Server has exactly the same iptables problem. Guess we’ll see if I can fix it or not over the next day or so, $15 a month is a bargain, but can’t spend too much time on it. Decided to give it another go, at $15 a month for a 4GB RAM VPS it’s worth another try. I have 30 days to get the server running or request another refund. I’m having this issue with a new Centos 7 VPS and looks like it’s to do with the OpenVZ container. The COMMIT line is line 14, but I’ve tried adding commit between each rule (after each -A INPUT” rule) and it fails at the first rule. Can only get iptables to run via the “service iptables save” command which results in iptables running, but no rules saved. The weird thing is ports 22 and 80 are open even when iptables is disabled at boot or has no rules. I’ve tried disabling iptables and rebooting and ports 22 and 80 are still open, everything else blocked. Dec 30 17:49:36 s######.secureserver.net firewalld: WARNING: ipset not usable, disabling ipset usage in firewall. Dec 30 17:49:36 s######..secureserver.net firewalld: WARNING: ip6tables not usable, disabling IPv6 firewall. The "sudo ifconfig" command outputs "sudo: ifconfig: command not found"
At this point I’m stuck. I know iptables isn’t working as it should and firewalld when installed says it’s not running. Godaddy support are useless, they don’t appear to understand the concept that the server is starting with a fault in the iptables setup. What I’d really like to know is how ports 22 and 80 are open when iptables and firewalld aren’t enabled? Is there another firewall built into Godaddy servers by default??? I think the new Godaddy VPS hates me. Figured out why iptables was throwing out an error on line 14 as a freshly built server: I’d made no changes to the server. The Godaddy Deluxe 4 GB Virtual Private Server which is run under an OpenVZ container (one of the ways a dedicated server is partitioned into multiple VPS servers) starts with all ports closed other than ports 22 (SHH) and port 80 (HTTP). This means the server is secure, but requires ports opening to use other services like email, MYSQL and a control panel: for example Virtualmin needs amongst other ports, port 10000 and port 20000 open to function. So a firewall management program should be installed with the server to manage ports. Iptables is installed and enabled, so should activate at boot, but does not activate due to an error on line 14. Ip6tables is installed and disabled (turned off). Firewalld (a more recent firewall sometimes installed with Centos 7) is not installed. As far as I can tell iptables is the only way to manage ports on the Godaddy VPS running Centos 7. The line 14 iptables error was caused by Godaddy not enabling multiple iptable kernal modules. These should be installed under the OpenVZ hardware node which Godaddy customers have no access to. The earlier forum post about modules required for CSF to function is from 2007, I assume there’s new iptables modules since then. Indicates a module is missing, specifically the state module. Iptables now activated at boot so iptables should work as expected. Tried installing Virtualmin and guess what, it still didn’t work!!!! Port 10000 was still closed, port 20000 was open, the same result as before enabling the missing modules! After a lot of testing with ConfigServer Security & Firewall I was still no closer to figuring this out and was making a bit of a mess, so decided to start from scratch again. I Destroyed and Rebuilt the VPS server AGAIN to start with a fresh Centos 7 installation and now the enabled iptable modules are no longer enabled!!!! I don’t know much about managing OpenVZ, but would assume there’s an option to set the iptables modules to survive a rebuild: if not Godaddy support should have told me the new settings won’t survive a rebuild. They are a bunch of bloody idiots at Godaddy. They can’t setup a VPS which works without modifying the server: the support person I dealt with said he has to deal with the missing iptables modules roughly twice a week! Most of Godaddy support don’t have a clue, you’d have better support asking your pet cat how to fix an issue. After all this hassle I’m still not sure why port 10000 (and others) won’t open, but port 20000 (and others) will via iptables. Just to make things more interesting. With the fresh Centos 7 server I disabled and masked iptables/ip6tables so there wouldn’t be any program managing firewall rules. That’s the theory anyway. With a fresh server ports 22 and 80 are still open all other ports I’ve tested are listed as closed. Fresh server with iptables/ip6tables disabled/masked: no control panel installed. The above is as expected. Either before or after a reboot I think all these ports should be open. Why has MYSQL closed? Port 20000 (Usermin) is open, port 10000 (Webmin) is closed!!! It would appear another program is managing the firewall since iptables/ip6tables is masked and not all the above rules are working. Still haven’t a clue how the ports are opening etc… with iptables/ip6tables disabled (masked) in Centos 7, but I got it working. I wasn’t having any luck with opening the Webmin port 10000, so gave up. Switched Webmin to use another port, first downloaded the “/etc/services” file to find an unused port. The services file lists all named ports, picked one not in the file. To use the selected port (changed 10000 to another port number), uploaded it back to the server, rebooted and found Webmin wasn’t running: wasn’t running before this, but I get caught up with opening port 10000 so didn’t investigate. Took a look at the error file and tracked down the issue to another setting in the “/etc/webmin/miniserv.conf” file. Don’t know if the above is important, since iptables/ip6tablesis disabled the file shouldn’t do anything (unless there’s another service managing the firewall). Uploaded the iptables file, rebooted and Webmin now worked on the new port. May well be a case I could have skipped pretty much all the above except the “ipv6=1” to “ipv6=0” change. I’d have to change it all back to be sure, think I’ll pass on that one :-) It’s also more secure to put Webmin on a port other than 10000. Looks like it’s finally working, not added a domain yet, so won’t be 100% certain until I install a Virtualserver. 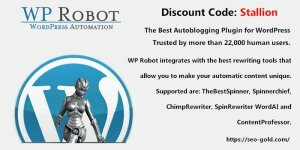 Problem, cannot access cpanel or WHM. I need to restart mysql but cannot get access to do so. I will keep researching but I thank you for your insightful review.